Dream of riding across the United States from the Pacific to the Atlantic? 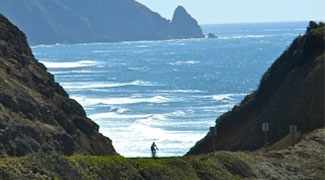 America by Bicycle offers 4 unique fully-supported cross country routes. Leave your camping gear at home and come ride with us. Care to ride along the Coasts, the Great Lakes or the Mississippi? America by Bicycle offers fully-supported tours from 5 to 25 days that explore regions of America in addition to our cross country options. Want to ride one of our longer routes but only have a week or two for vacation? America by Bicycle offers sections of all our long-distance tours. Most routes are 8-10 days, the perfect length for a shorter vacation.